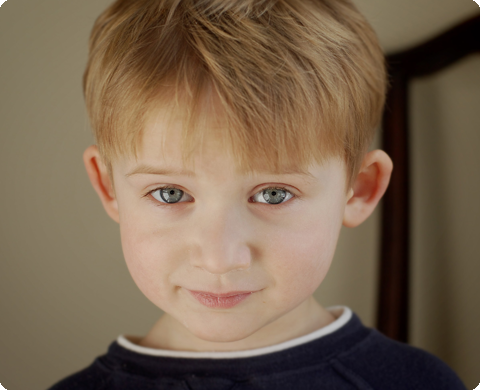 Wallingford’s Myles Tristan Donohue is an adorably handsome little man. He is, however, not your ordinary five-year-old, and his birthday this year was no ordinary birthday party. In May, Myles had his birthday party at Milky Way Organic Farm in Ira. It was the first party that Myles got to plan himself that included invitations. Myles and his family decided to make a difference by encouraging all of his party guests to make and bring a homemade card to the party. Instead of a gift, Myles asked each and every one of his guests to refrain from buying him a present and instead to make a donation to the Foley Cancer Center at Rutland Regional Medical Center. You see, Myles had already received his gift, a healthy dad. 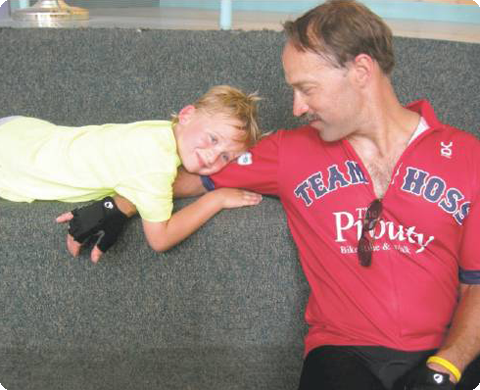 Seven years ago, Myles’ father Dr. Joe, Wallingford’s chiropractor, was diagnosed with Liposarcoma — a malignant tumor that arises in fat cells in deep tissues such as inside the thigh or in the abdominal cavity. Dr. Joe’s tumor was located in the medial aspect of his left thigh. After a day of skiing, Joe noticed a lump in his upper left leg and knew that it was not related to his activity on the mountain. Based on a personal history of Lipomas (a benign growth) — as well as various and trusted complementary modalities alone not offering marked improvements — his wife Lisa encouraged Joseph to see their family’s nurse practitioner and family physician who recommended an MRI. The image captured in the MRI led Joe to consult with surgeons Dr. Bagley and Dr. Conway regarding a biopsy. The practitioners determined the need and sought orthopedic surgeon Dr. Boynton to confirm whether or not Joe had a soft tissue lump. When the consultations and review were complete here in Rutland, the conclusion was that he needed a frozen tissue biopsy procedure as soon as possible. To have this procedure, Joe and Lisa traveled to a specialist at Massachusetts General Hospital Cancer Center (MGHCC) in Boston. Once the results were back and it was confirmed that Joseph’s tumor was malignant, treatment options became theprimary focus. The tumor would require five weeks of radiation before it could be surgically removed. Because of the commitment to quality care the Foley Cancer Center at Rutland Regional Medical Center is known for, Joseph and Lisa felt very fortunate, “lucky” even, to have such a treatment facility so close and convenient to home. Joe returned to MGHCC for the surgery on the chosen date of June 22, 2005, and after completing all required follow-up and self-care, continues to live a very full life. Joseph’s good health today is as a result of the exceptional care and treatment that he received, and while all of this occurred before Myles was even born, Myles has known the rigors of Joe’s needed care since he was an infant. It required going back and forth to Boston in one day with his parents. He has come to understand that he has a very special gift, indeed — a healthy dad, thanks in part to the Foley Cancer Center. When planning Myles’ birthday party, Lisa decided that the family would celebrate the 5-year-old’s birthday and another family milestone, her husband’s seventh year as a cancer survivor. With some direction from his mom, Myles decided to ask his guests to help others by making a donation to the Cancer Center. His donation, a total of $320 is one of the most unusual that the facility has ever seen. To acknowledge Myles’ selfless generosity in giving up presents in order to help others, the Foley Cancer Center welcomed him for a special visit when he delivered his donation, and approximately 30 Rutland Regional staff members were on hand to give him some well-deserved recognition. Myles got his own tour of the facility, balloons and a bag of goodies, and the sense of doing something for others. When Lisa asked Myles what he thought he accomplished after he delivered the donation. Tammy Heffernan, an attorney and writer, resides with her husband and three teenage sons in East Walling ford. Story ideas are always welcome; please email Tammy at tammy.heffernan@mac. com or call her at 259-3711.